Volcanic super-eruptions are bad. Like really bad. Scientists warn of such a potentially civilization-ending catastrophe in our future, but as a new study shows, we’ll only have a year to prepare once the signs of an impending eruption become visible. A new microscopic analysis of quartz crystals taken from the site of a massive volcanic eruption that occurred 760,000 years ago in eastern California suggests we’ll only have about a year’s worth of advance warning before a devastating super-eruption. 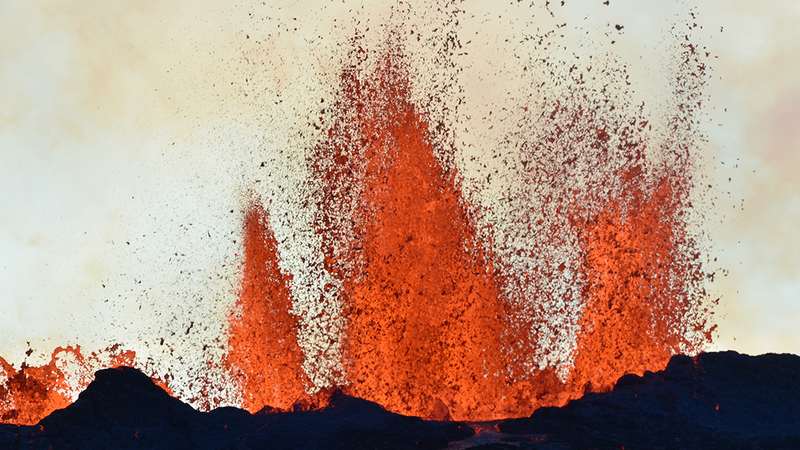 In a paper published in PLOS ONE, Guilherme Gualda from Vanderbilt University and Stephen Sutton from the University of Chicago show that super-eruptions don’t require much time to blow their tops, even though they’re tens of thousands of years in the making. Unlike “conventional” eruptions, these explosions are among the most devastating on the planet, unleashing destruction that can flatten continents, trigger new ice ages, and potentially put an end to human civilization as we know it. They happen when the magma in the mantle rises into the crust, but is unable to breach the surface. The ensuing pressure builds and builds in an ever-growing magma pool until the crust can no longer contain the pressure. The results of the ensuing explosion are nothing short of catastrophic. In the most severe cases, a supervolcano can eject upwards of 1,000 cubic kilometers of ash into the sky. Our planet has experienced several super-eruptions in the recent geological past. The Taupo Volcanic Zone in New Zealand erupted 26,500 years ago, and Campi Flegrei in Italy erupted 40,000 years ago. Other noteable super-eruptions include Indonesia’s Toba super-eruption in Sumatra 75,000 years ago and the Tambora eruption in 1815. Wyoming’s Yellowstone has super-erupted three times in the past million years, and there’s fear it could happen again. As these episodes show, super-eruptions are still a part of Earth’s geological fabric. It’s not a matter of if they’ll happen again, but when. As these timelines suggest, super-eruptions evolve over relatively long timescales. But as the new study by Gualda and Sutton shows, the final stage doesn’t take very long at all. “The evolution of a giant, super-eruption-feeding magma body is characterized by events taking place at a variety of time scales,” noted Gualda in a release. It typically takes tens of thousands of years to “prime” the crust with the requisite amounts of magma. Once these pools are established, the giant magma bodies swell and fester for a few millennia or even just a few centuries. “Now we have shown that the onset of the process of decompression, which releases the gas bubbles that power the eruption, starts less than a year before eruption,” said Gualda. Gualda and Sutton reached this conclusion by analyzing small quartz crystals in pumice taken from the site of the Long Valley Caldera that formed nearly a million years ago. This allowed the researchers to measure the distinctive surface rims found at the sites of super-eruptions. By measuring the size and growth rates of these rims, the researchers were able to determine the length of time it took for an explosion to happen once the collapse phase begins. Analysis showed that more than 70 percent of rim growth times were less than a year, indicating that quartz rims mostly grow in the days and months prior to an eruption. According to the researchers, we’ll likely be able to detect the signs of a pending super-eruption by noticing the bloating effects of the expanding magma body on the surface. More work is needed to know more about these warning signs, but this new study suggests that these signals will start to appear within a year of an eruption. And they’ll intensify as the explosion gets closer.